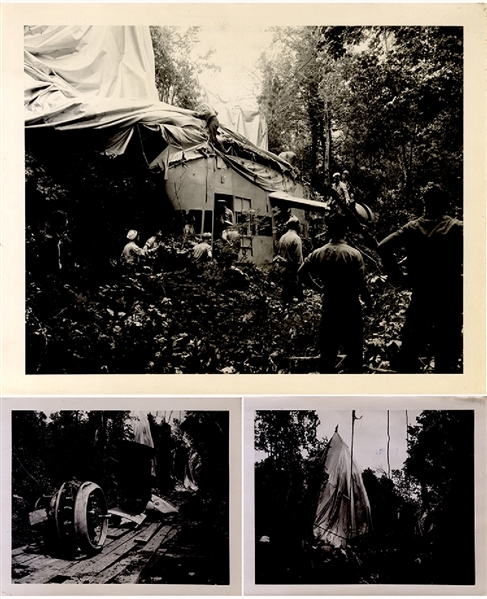 A group of 3 B/W 10” x 8” glossy photographs of the salvaging of the Navy’s K-56 Blimp which was damaged April 21, 1944. Each photo is back stamped, “Official Photograph, Not to be used for Publication’ N.A.S. Houma Louisiana. Fine. there are 3 additional snap shots, not ID’d but likely related.